The personalized memorial stone, shaped like a dog bone, is a lovely way to remember a special companion. 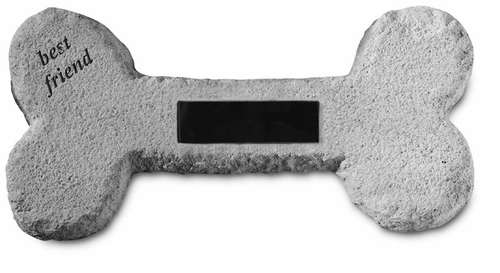 Our garden stone is made of cast stone concrete to provide a long lasting memorial. Proudly made in the USA. Durable for all seasons. Memorial stone measures 17" x 8"